Telstra has failed, in the past, to take advantage of its position as the essential core of a networked world. How will they survive the next technological onslaught? If there was any remaining doubt that the Australian telecoms sector is caught in a perfect storm, Penn removed it at Telstra’s annual results briefings, warning of upheaval, disruption and an uncertain future for Australia’s most widely-held listed company. Michael Sainsbury reports. 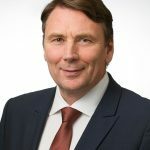 WHEN DAVID Thodey stepped down as Telstra chief executive, the company’s share price was $6.24. It would only go 25 cents higher. 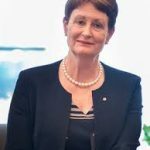 Only eight months after Thodey left, Catherine Livingstone who had been elevated only a few months ahead of Thodey to the Telstra chair, announced that she, too, would skip off into the sunset. “We are now able to consider new growth opportunities alongside our traditional core businesses, looking to extend our footprint in ways that are consistent with creating long-term shareholder value,” Ms Livingstone said at the time. Well, if that goal on shareholder value is something she really believed, she had at best little understanding about what would happen next. That is very hard to believe from someone who was on the Telstra board for over a decade — or that Andy Penn has been close to incompetent. While he has perhaps fatally failed to act when he should have, the NBN and other external pressures has meant so much is out of his hands. Livingstone and Thodey had also been very vocal in saying the government compensation for the sale of the monopoly copper network that has underpinned its revenues, margins and dividends was insufficient. Yet it’s now clear that they and Penn, who was Thodey’s hand-picked CEO and successor, did not properly forecast the depth of the troubles ahead and certainly did not do enough, quickly enough, to reshape the company. Indeed, what a long and murky saga it has been for Telstra shareholders since Livingstone’s empty words. To be frank, it’s hard to see any other view than that she and Thodey had certainly seen some of what was to happen next. Since July 2015, the market value of Australia’s largest telecoms group has been on a long, slow and inevitable decline, slashed by more than 50 per cent under Thodey’s successor, Andy Penn, who was handed a delicious-looking sandwich that disguised its real faecal contents. The main reason for this is the Rudd government’s decision to build the National Broadband Network. This was compounded by Malcolm Turnbull, Tony Abbott’s Communications Minister who had come into office promising to “fix” the NBN. Now there are other forces at play including emerging 5G technology that can be used to bypass the NBN but which will further increase competition in broadband, a new mobile network being built by TPG and the continuing erosion over Telstra’s ( and other telecoms) ability to “own” the customer with over-the-top services. Penn may have fast tracked the NBN – now due to be completed by 2020 – by a couple of years but the “fix” he put in saw Telstra vend its monopoly copper network and its market leader, hybrid fibre, coax its network into the “multi-technology” NBN. This, he claimed would be cheaper to build and faster to roll out, The core problem is that under this mix, speeds for more than 50 per cent of the country will be far slower. The copper and to a lesser extent HFC networks have much higher maintenance costs and will, eventually need to be replaced with fibre (copper first) . 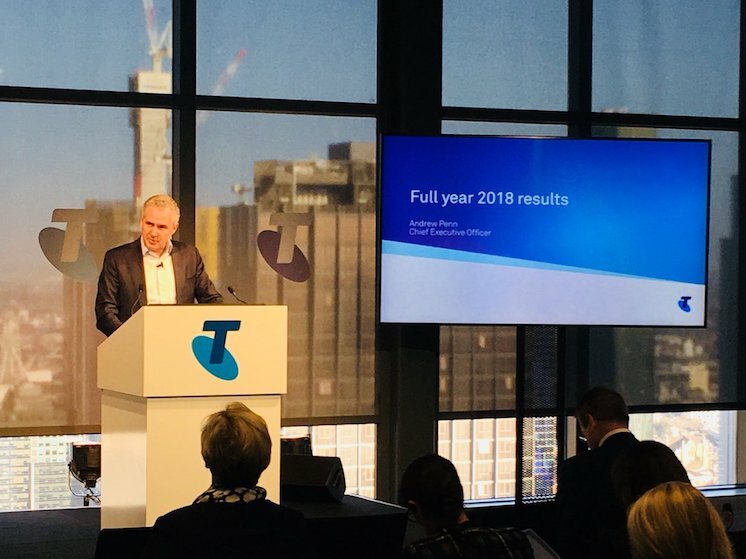 If there was any remaining doubt that the Australian telecoms sector is caught in a perfect storm, Penn removed it at Telstra’s annual results briefings, warning of upheaval, disruption and an uncertain future for Australia’s most widely-held listed company. There are plenty of elements in the storm that the entire global telecoms industry is facing, but its the government’s National Broadband Network has accelerated the reckoning, ramping up competitive pressures across the entire sector. But underpinning the changes roiling the industry more broadly is the imminent emergence of 5G mobile technology and the billions of dollars in network investment that entails, continuing revenue erosion by over-the-top Internet companies (such as Google, Facebook, WhatsApp and Skype) and the commoditisation of bespoke business services as cloud computing increasingly become an inextricable part of telecoms services. Nowhere is all this being felt more keenly than at Telstra, the traditional fixed-line gorilla in the market that also holds the biggest market share in mobiles. Now its mass-market fixed-line monopoly has been removed, leaving it open to competitors prepared to take smaller margins and who do not have dividends to protect, and more than $4 billion in capital expenditure each year to fund. “When you flow it down to the bottom line, that’s more like 50 per cent of the profit historically that Telstra has received is impacted by the implementation of the NBN,” Penn said at the results briefing in Melbourne last week. As forecast at the emergency investor day that Penn held on June 22 to unveil a dramatic and, at least on paper, comprehensive overhaul of the company, Telstra’s $26 billion-a-year revenue flatlined and its earnings and profits fell: 5.9 per cent and 8.8 per cent respectively. Also as forecast, dividends were trimmed once more, leaving the full year dividend at 22 cents per share, slashed from 31 cents the year before and no promises that it won’t fall further in the current financial year where, as Penn noted there will be more “challenges”, a 2-3 per cent fall in the Australian mobile market, falling average customer revenues and restructuring costs. Ouch. The Telstra chief — under pressure from markets as the share price has been more than halved, and dividends cut for the first time in the company’s history — continued to rail against the NBN. “I do think that there are major structural problems with NBN pricing,” Penn said. The NBN does have structural problems but they are technology-based due to Turnbull’s destruction of the company’s original long-term model for his own short term political gain as well as conditions forced upon it by the competition regulator. But it’s actually Telstra that has the most immediate structural headache. Until the June 22, Telstra2022 (T22) restructure plan was announced, Penn and his predecessor, Thodey, continued to run Telstra on a cost base suited to a fixed network owner and operators collecting near monopoly margins. The sell-off of the copper and HFC networks occurred five long years ago. So Telstra has increasingly been a reseller of NBN services for several years now. The NBN’s taxpayer-funded $10 billion payment but management inaction has dramatically exacerbated the problem. And Telstra CFO Warwick Bray has been shown the door. The NBN is now more than 70 per cent built with its 2020 finish now in sight — so more pain for Telstra (and Optus). Only an hour after Penn’s doom and gloom, NBN CEO Bill Morrow demurred on any pricing issues, saying he didn’t see any problems and that NBN was “forcing a nation-wide churn event” — telecoms industry shorthand for customers shifting from one service provider to another — as he delivered a doubling of revenue in 12 months. He described this result, his last as CEO, as “fabulous”. Meanwhile, Thodey, in particular, and Livingstone are living off the stellar boost to already excellent reputations (despite some, shall we say, interesting times and corporate behaviour by other companies upon whose boards Livingstone has sat, including Macquarie). But Penn admitted that Telstra and the sector as a whole had failed, in the past, to take advantage of their position as the essential core of a networked, broadband-enabled world. Whether he can reverse that trend in terms of creating new sustainable businesses with revenues and margins that will be significant in terms of a company whose revenues are $26 billion a year is very much a wait-and-see game. But an accelerated, ruthless drive to restructure a company’s cost base should the first port in any industry storm, and should be Penn’s most urgent priority. Right now, the rest is just window dressing. A different version of this article was also published in Crikey. NextPEXA: privatising an essential public service … what could possibly go wrong?